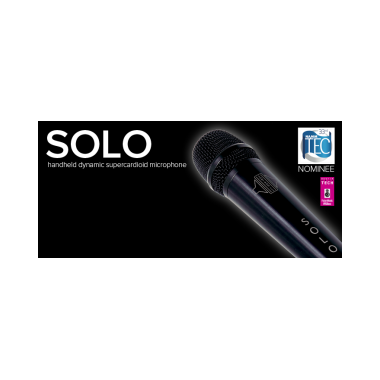 The Sontronics SOLO is a handheld dynamic supercardioid microphone that is the world's first dynamic mic to be designed, developed and made in the UK. Manufactured in Sontronics’ home county of Dorset, the SOLO is engineered from a solid piece of aluminium with black anodised finish and beautifully etched logo, and it feels substantial but not too heavy in the hand. amps and drums, plus it works just as well in the studio as it does on stage. The SOLO is supplied with a mic clip with a thread adaptor so it will fit any size mic stand, plus a zip-up, leather-effect pouch for simple storage and protection when moving from gig to gig. 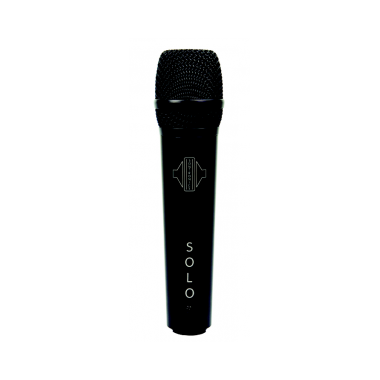 And like all Sontronics mics, the SOLO is covered by our Lifetime Warranty (read more about it here). SOLO is revolutionising the world of live scene and when you hear it, you won't believe your ears.... or the price! AWARDS: Our SOLO microphone was shortlisted for the NAMM Foundation's TEC (Technical Excellence & Creativity) awards along with only three other microphones. It was also listed as the only microphone in MusicRadar's 2017 Best In Tech awards!